The Church of Saint Andrew is committed to Perpetual Adoration, which means that every hour of every day, committed parishioners pray silently before Jesus in the Holy Eucharist for the needs of our families, our parish and the world. In order to keep this parish commitment, we need committed hourly coordinators and adorers. You can choose what day of the week and hour of the day works best for you. If you would like to know more or can commit to an hour, contact Colleen Solors at 763-441-7179 or Eva Jahnke at 763-257-7109. 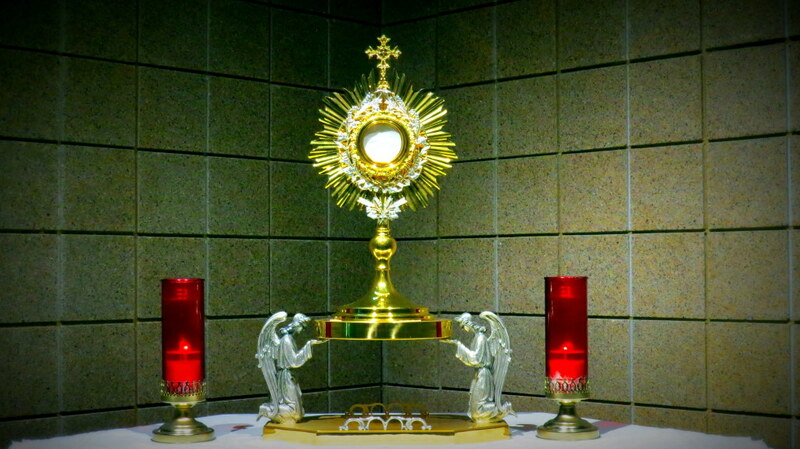 To find the Adoration chapel nearest you, anywhere in the United States, check out this online directory from the Real Presence Eucharistic Education and Adoration Association. The Men's Prayer Team is a group of Catholic men who desire to know the Lord more deeply through prayer and Christian example. The team meets at 7 p.m. the second Monday of each month, preceded by a Divine Mercy Chaplet in the church at 6:40 p.m. For more information, contact John Stewart at 612-770-2161. The Prayer Gospel Study group invites men and women to enter more deeply into sacred Scripture by using lectio divina and contemplative prayer along with group study and discussion. The group meets on Wednesdays at 7 p.m. in Meeting Rooms 1 and 2 at the church. All are welcome; contact Eva Jahnke at 763-257-7109. We also offer the opportunity for Individual Prayer Ministry after the 6 p.m. Mass the first Tuesday of each month. If you would like our prayer team to pray over you for blessing or healing, please remain in the worship space after Mass.